Pickup Trucks has decided to evaluate the fuel economy of heavy-duty pickups. As they note, fuel economy is not a top priority for some truck owners. The major talking points when someone is interested in learning about a HD pickup is more along the lines of wanting to know capability and towing. 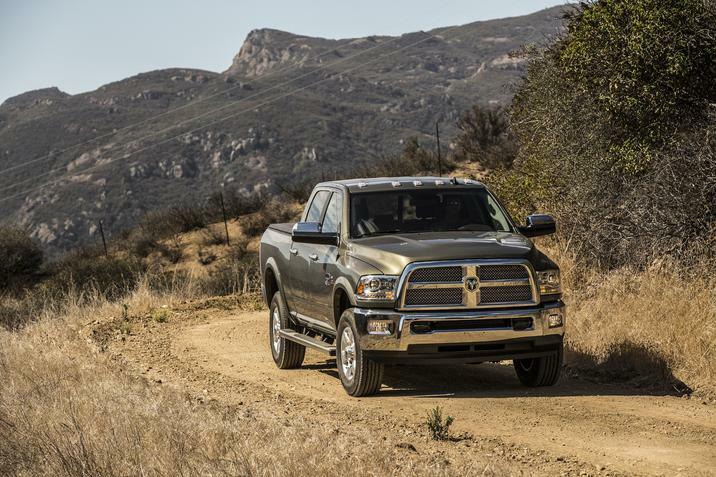 In doing these tests of fuel economy, PickUp Trucks discovered that the Ram 2500 diesel is a clear winner against the competition. “As you might expect, the smallest diesel engine on the lightest truck did well on the uploaded fuel-economy drive.” The 2017 Ram 2500 was put up against the 2017 Nissan Titan XD and other trucks in its segment and managed to beat them out. This entry was posted in Queens Bayside Chrysler Jeep Dodge, Ram, Ram 2500, Ram News and tagged Bayside Chrysler Jeep Dodge, diesel, fuel economy, Heavy Duty Trucks, pickup trucks, Ram 2500, Ram Trucks by baysideadmin. Bookmark the permalink.